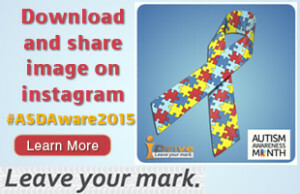 i-SAFE is excited to announce our newest Youth Empowerment Program Campaign. iDRiVE is a community of students in grades 8-12 that is dedicated to making a positive impact around the world. 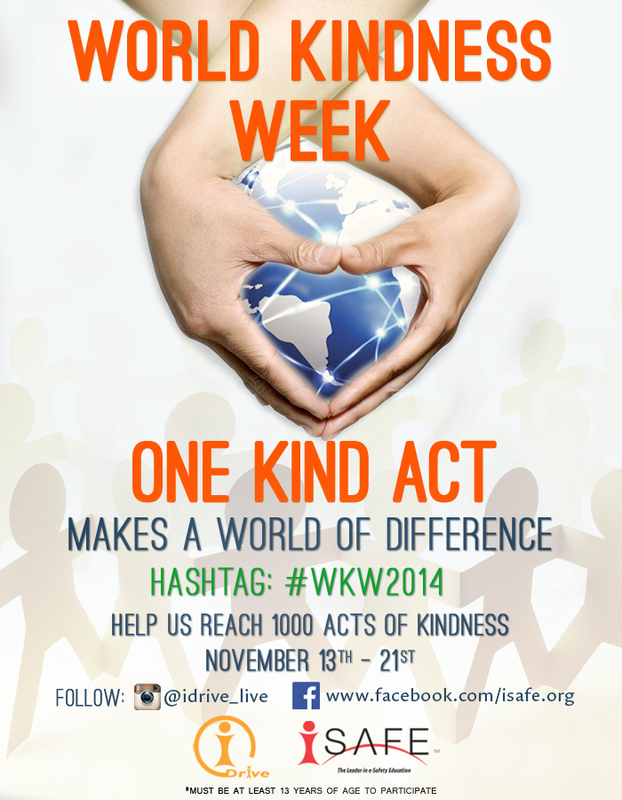 With your help, this campaign will demonstrate over 1,000 acts of kindness. Together we can make it happen. 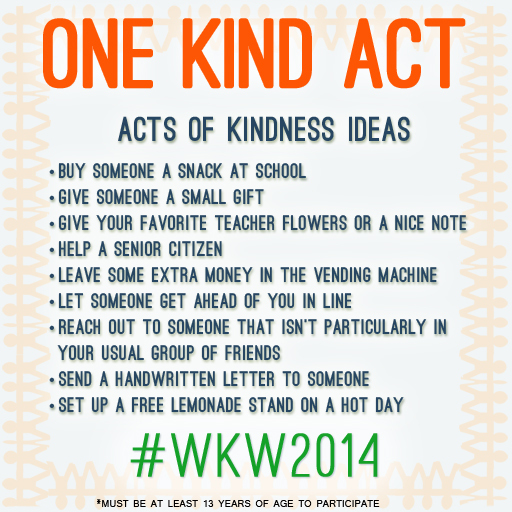 Start a chain reaction through one kind act. Show an act of kindness in your community. When you share your act of kindness on Instagram, nominate 2 friends from your school by mentioning them in your post. Need ideas? Check out the list below. Together we can make the world a kinder place.